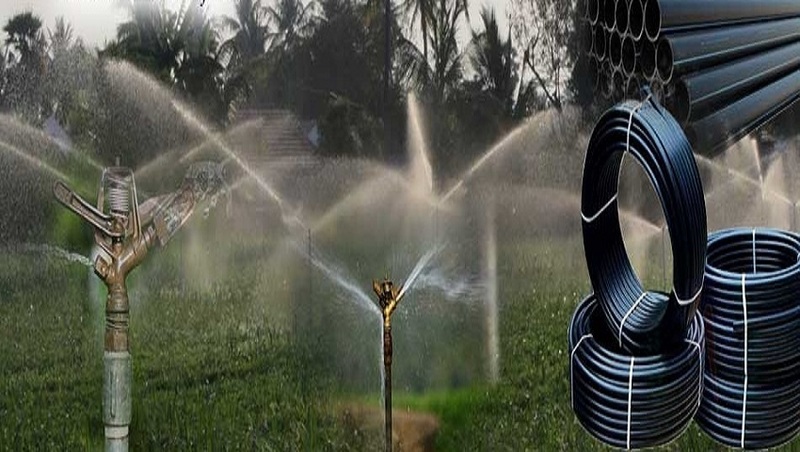 Prominent & Leading Manufacturer from Rajkot, we offer irrigation rain guns, bsp female connection rain gun, dust suppression for rain guns, rain guns, full circle rain gun and agriculture rain gun. 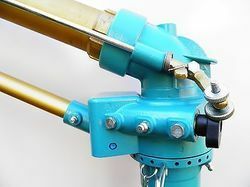 With very long time of experience and conformity in the industry, we are involved in offering our patrons optimum quality assortments of Irrigation Rain Guns. The offered range is available in various specification. These products are widely admired across the industry for their unmatched quality and industry leading price. 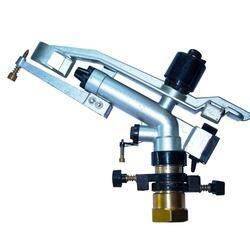 Inlet Size 1.25" 1.5" 1.25" / 1.5"
With the help of our state-of-the-art infrastructural set up, we are able to offer a quality approved range of Rain Guns . Our offered product is used in various industries. These products are manufactured using the finest quality raw material and advanced technology in line with set industry standards. The provided product is available in various specifications to cater the requirements of our valuable patrons. Features: Smooth finish Rust proof Easy to use. Model Operating Pressure KG/CM2 Discharge Capacity (L.P.M.) Motor (H.P.) High Head Low Discharge Max Area Irrigated(In Circle) AMBO 2.00-3.00 85-200 55-75 3.00 5.00 HIDRA 2.00-3.50 150-300 65-85 5.00 7.50 SKIPPER 2.50-4.50 160-400 80-110 7.50 10.00. Being a quality oriented and customer centric organization; we are involved in offering a Full Circle Rain Gun to the customers. As its name conveys, these products could be use easily since these have easy to understand functionality. These products are manufactured at state of the production unit and are put to strict quality checking by renowned quality inspectors. Finally, these products are available at pocket friendly prices. 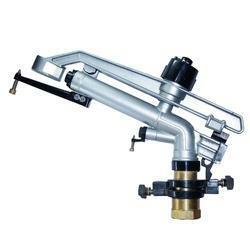 Our Company is an efficient manufacturer of Agriculture Rain Gun to our valued clients. 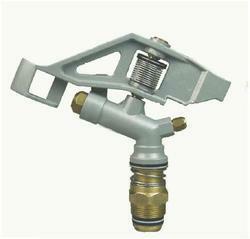 Precise design and long service life are well known features of the offered products. 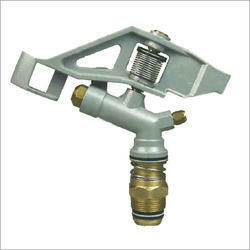 It can be availed in bulk by our clients and is used in various industries. The offered array of product is free from all kinds of defects. To add on, we are offering this product at attractive market price. 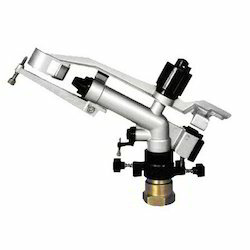 Keeping the track of diverse demands of our customers in mind, our company is involved in providing supreme quality array of Twin Nozzle Rain Guns in the market. This product is designed and developed by skilled professionals with the help of advance machines and quality approved basic material. Our entire product range is known for its high quality and strong construction. Specifications: Radius Coverage (m) 14-52.1 Discharge (Iph) 1,300-43,800 Operating Pressure ( kg/cm2) 2-7.5 We are also dealing in HDPE Pipe, HDPE Coil, DWC HDPE Pipes, UPVC Pipes CPVC Pipes, PVC Pipes, LDPE Pipes, MDPE Pipes, PP Pipes, Drip Irrigation System, Sprinkler System, and Agricultural Foggers. By understanding the needs and necessities of our valuable customers in the best possible manner, we are occupied in providing a vast range of Haulage Road Rain Guns in the market. Widely appreciated for their reliability, ruggedness and low maintenance, these offered products are widely admired by the clients. Also, their nominal market rates and capability to get delivered in bulk has enabled us enormous appreciation from the clients. 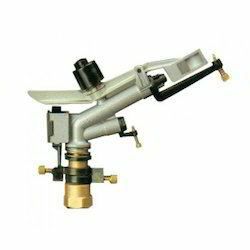 Being a noteworthy entity in the domain, we are instrumental in providing a broad spectrum of Part Circle Rain Guns. By using quality tested components and advanced technology, we offer this product in conformity with the set industry standards. Further, we are providing this product as per the specific needs of the clients at economical prices within the promised period of time.